Windstream announced this week it was ditching EarthLink, the internet service provider it acquired in 2017 that has been around since the days of dial-up, in a $330 million cash deal. Trive Capital of Dallas, Tex., is the new owner of the consumer-facing ISP, which today primarily serves customers over some cable broadband and DSL providers. 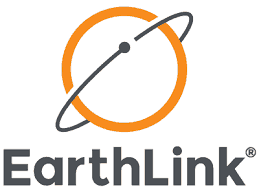 EarthLink launched in 1994, when almost everyone accessed online services over dial-up telephone modem connections using providers like AOL, CompuServe, Prodigy, and MSN. EarthLink rode the Dot.Com boom and secured funding to build its own multi-city, dial-in access network, allowing customers to reach the service over local, toll-free access numbers. This allowed EarthLink to be among the first ISPs in the country to offer unlimited, flat rate access for $19.95 a month at a time when some other providers charged in excess of $12 an hour during the business day to use their services. EarthLink grew to become America’s second largest ISP, reaching 4.4 million subscribers in mid-2001 — still dwarfed by 25 million AOL customers, but well-respected for its wide-reaching availability over more than 1,700 local dial-in numbers around the country. But 2001 was as good as it would get at EarthLink. The newly inaugurated administration of George W. Bush and its deregulatory-minded FCC Chairman Michael Powell quickly threatened to derail EarthLink’s success. As EarthLink’s balance sheet increasingly exposed the high wholesale cost of the company’s growing number of DSL and cable internet customers, executives calmed Wall Street with predictions that EarthLink’s wholesale costs would drop as networks matured and the costs to deploy DSL and cable internet declined. The phone and cable industry had other ideas. Under intense lobbying by the Baby Bell phone companies, the FCC voted in 2003 to eliminate a requirement that forced phone companies to allow competitors fair and reasonable access to dial-up infrastructure and networks. The cable industry had never lived under similar guaranteed access rules, a point frequently made by telephone company lobbyists seeking to repeal the guaranteed “unbundled” access requirements. Lobbyists (and industry funded researchers) also claimed that by allowing competitors open access to their networks, it created a hostile climate for investors, deterring phone companies from moving forward on plans to scrap existing copper wire networks and invest in nationwide fiber to the home service instead. I am troubled that we are undermining competition, particularly in the broadband market, by limiting — on a nationwide basis in all markets for all customers – competitors’ access to broadband loop facilities whenever an incumbent deploys a mixed fiber/copper loop. That means that as incumbents deploy fiber anywhere in their loop plant — a step carriers have been taking in any event over the past years to reduce operating expenses — they are relieved of the unbundling obligations that Congress imposed to ensure adequate competition in the local market. 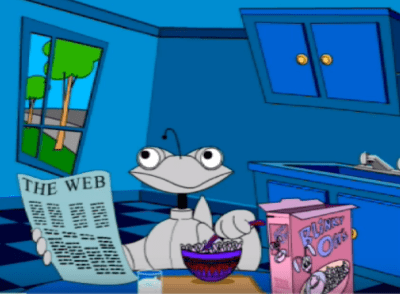 […] I fear that this decision may well result in higher prices for consumers and put us on the road to re-monopolization of the local broadband market. In the end, the industry got what it wanted during the Bush Administration, and was also able to effectively wiggle out of its prior commitments to scrap copper networks in favor of fiber optics. Phone companies were also able to raise wholesale prices on providers like EarthLink. In 2002, EarthLink paid about $35 per month to phone companies for each subscriber’s DSL connection, for which the ISP charged customers $49 a month. Financial reports quickly showed EarthLink started losing money on each DSL customer, because it could keep only about $14 a month for itself. The cable industry was slightly more forgiving, if companies voluntarily allowed EarthLink on their emerging cable broadband networks. In general, cable operators charged EarthLink $30 a month for each connection, which gave EarthLink about the same revenue it earned from its dial-up business. An even bigger threat to EarthLink’s future came when phone and cable companies got into the business of selling internet access as well, usually undercutting the prices of competitors like EarthLink with promotional rates and bundled service discounts. EarthLink’s subscriber numbers dropped quickly as DSL and cable internet became more prevalent, and customers defected to their providers’ own internet access plans. Attempts by EarthLink to diversify its business by offering security software, web hosting, email, and other services had limited success in the residential marketplace. By the mid-2010s, EarthLink primarily existed as a little-known alternative for some cable broadband customers and DSL users. 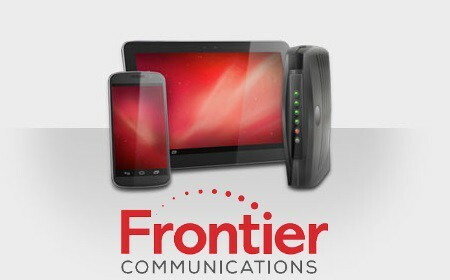 But beyond initial promotional pricing, there was no compelling reason for a customer to sign up, given there was usually little or no difference between the prices charged by EarthLink and those charged by the phone or cable company for its own service. EarthLink’s competitors, including AOL and MSN, also saw subscriber numbers start to drop for similar reasons, especially when their customers dropped dial-up access in favor of broadband connections. This was strong evidence that companies that do not own their own networks were now at a strong competitive disadvantage, held captive by unregulated wholesale pricing and no incentive for phone or cable companies to treat them fairly. In 2017, Windstream paid $1.1 billion for EarthLink, primarily to consolidate fiber-optic network assets and improve its business services segment. After more than a year, Windstream realized EarthLink’s residential ISP service had little relevance to them. With subscriber numbers still dropping to around 600,000 today, Windstream decided the time was right to sell.